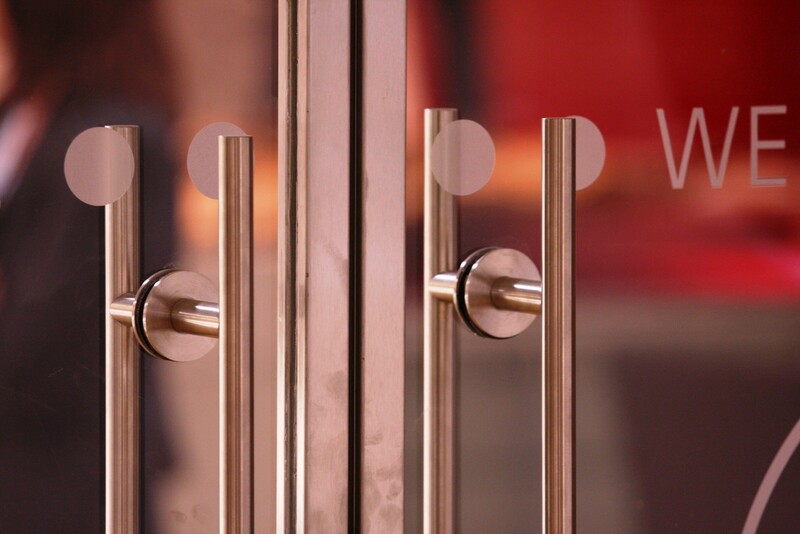 Fire doors are an essential part of any building. They are crucial in the event of an emergency, not only to provide a clear and safe escape route, but to also reduce the spread of flames and smoke. Fire doors can save lives and minimise the lasting damage to a building, so it’s important that they comply with the stringent health and safety regulations of any building. There are many different types of fire doors available – from different materials to varying fire ratings and protection levels. The effectiveness of a fire door and the type required depends on its location in the building, and the type of fire hazards surrounding it. It can be hard to believe that glass is an effective material used in fire protection, but thanks to advanced fire technology, it’s just as good as any. However, we’re not just talking about standard glazing here (as this would shatter under the pressure of heat) – it’s important to realise that glass fire doors must be made from fire resistant glass. This means that the glass has passed the appropriate fire tests and has been certified fire safe. Fire resistant glass is given an E classification, meaning that the glazing will remain transparent once exposed to fire or heat, for maximum visibility and the passing through of light. It also means that the glass will only prevent the spread of fire and smoke, but does not prevent the transmission of heat. The time frame in which fire rated glass will effectively segregate areas and prevent fire and smoke from spreading, is indicated by the number following its E classification rating. Toughened fire glass can withstand temperatures in excess of 1600°F, compared to just 250°F of standard glazing. Glass fire screens and doors can also provide performance up to 120 minutes integrity (how long the fire, smoke and flames will be contained) and insulation (protecting people in the building from the radiating heat). Class E: Integrity only performance. Does not prevent the transmission of radiant heat, but does contain the spread of flames and hot smoke. Class EW: Integrity performance, with a slight ability to provide some heat resistance. Class EI: This is the highest level of protection from fire, smoke and heat, offering both integrity and insulation. Glazing that is given an E30 classification means that in the event of a fire, the glass door/screen will protect against the spread of smoke and flames for 30 minutes, giving a half an hour window for anyone in the building to find a safe escape route. E60 is a stronger rating for glass fire screens and doors, meaning that the glass can withstand the heat and smoke for 60 minutes before it loses its integrity and stability. The highest rated fire resistant glass is given an E120 classification, meaning it can last up to 120 minutes under the pressure of fire and smoke before its effectiveness is lost. When choosing glass fire doors, it’s important to know that they have undergone sufficient testing and have been given the most appropriate fire rating needed to suit the building. This is no different to the requirements of timber fire doors either, as these types of doors must comply with British standards when installed in any building. These are a list of documents outlined to ensure the safety of fire doors, with a series of tests on building materials and structures. Timber fire doors are typically given an FD rating, provided by the British Woodworking Federation to specify the level of protection. Their Certifire fire door scheme gives fire ratings to doors, which is usually the number of minutes indicating their integrity, prefixed by the letters “FD” – e.g. FD30 would be 30 minutes worth of protection against fires, and FD120 would be 120 minutes.The ratings are given after the doors have undergone specific tests, specified in BS 476-22 or BS EN 1634-1 which expose them to similar effects that they would be subject to in the event of a fire. These tests assess the efficiency of all aspects of the door, including the door frame and all hardware, as well as the door itself. The methods used in the tests include exposing the door to similar heat conditions as those of a fire, and observing the stability and integrity of the door. It’s important that fire doors are tested from each side, to best establish the loss of integrity and stability of the whole unit during the process. This states that the stability and integrity of the door lasts for 30 minutes, before it eventually starts to fail under the pressure and may start to form cracks or openings. Doors rated FD60 can remain fire resistant for 60 minutes before it is deemed ineffective. Typically, doors with a higher rating than FD60 would be used in areas where it’s important to preserve any important equipment/documents in the event of a fire, as opposed to being used to segregate escape routes or provide an exit for people in the building. How do you know if your door is a fire door? Look for any fire labels which could be on the side of the door near the hinges, top or bottom of the door or embossed somewhere in the frame. Sometimes, labels may have been painted over previously, so check carefully. Fire doors will always have fire door closers (automatic closing devices) fitted, and it’s possible that they might have spring-loaded self-closing hinges too. You can usually tell if it’s a fire door or not by its weight. Hollow doors will not typically be fire rated, and fire rated doors will be heavier than standard doors – usually needed to be fitted with three hinges. Some, however, may have been allowed to have just two. While there’s no simple way to immediately identify a fire door, they are just a few tips that may give it away, but it’s best to try and refer back to old documentation that was supplied with the door if possible, or look for written confirmation on the door itself. No matter what fire door is used, it’s important to keep up the appropriate maintenance in order to ensure the safety and effectiveness of the door over time. Regular checks of the seals, locks, latches, hinges etc must be carried out as these things can wear over time and reduce the effectiveness of the doors. 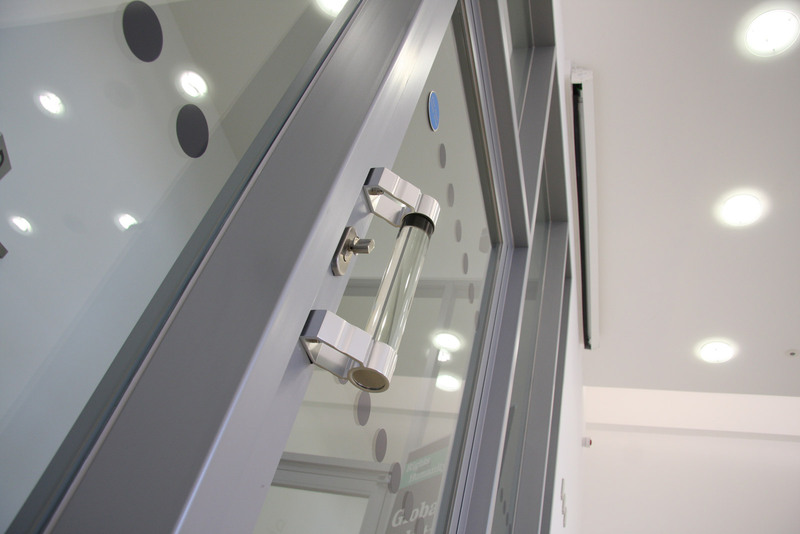 For more information about our range of glass fire doors and screens, click here. Fire rated glass partitions are an essential feature of modern offices. 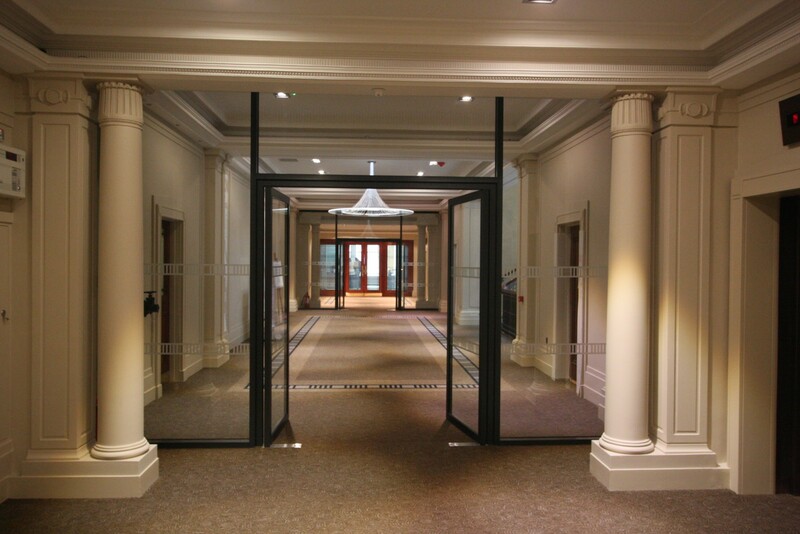 Browse our range of high performances glass fire screens and fire doors. OBG smart film glass is a technological breakthrough, providing security, aesthetics and also acting as a projection screen for presentations or movies. Find out about our extensive range of stylish commercial window office blinds, offering increased privacy and security. GlassLab design & produce beautiful, contemporary glass office furniture. Browse their range of glass desks, glass shelving & more. Call us on 01706 711397 to arrange a consultation from a member of our team. We are the North’s leading independent supplier of frameless glass partitions.